Nye rapporter om hvidvaskskandalen afslører et spindelvæv af involverede banker. I vores øjne drejer problemet sig i højere grad om, at bankerne ikke har haft nok kendskab til deres kunder, snarere end at de aktivt har faciliteret hvidvask. Over the past days a consortium of investigative newspapers, online portals, and television programs revealed a web of money laundering activities flowing through the European banking system, which lay bare a different scale and urgency of the problem of anti-money laundering controls within most banks as well as regulators than previously acknowledged. Of the banks named thus far to be involved we cover Danske, Nordea, Swedbank, Raiffeisen, Erste, RBS (acquired the unit in question from ABN in 2008), ING, and Deutsche Bank. While other Nordic banks as well as other banks in our coverage have not been directly linked to this publicly yet, we cannot conclude that the list given above is exhaustive given that banks without Baltic exposure have been implicated as well. As we digest the news, we do not alter our fair value estimates or moat ratings for any of the banks involved as of now, we may, however, do so in individual cases based on the varying scale of involvement and culpability. The news on money laundering activities in Europe up to this point had been dominated by Danske, the largest Danish lender, and its small Estonian branch which admitted to EUR 200 billion of potentially suspicious nature flowing through the entity. According to the new allegations, it seems that Danske’s Estonian branch, together with two Lithuanian lenders, have been the gateway into the European banking system for a or several large and complex money laundering apparatuses using offshore shell companies opening accounts to obfuscate the origin of funds transferred. As we understand it, most banks involved in the newest revelations were used to receive monies brought into the system via Danske or the Lithuanian banks. Further, we understand the issue to be of knowing-your-customer practices rather than actively facilitating money laundering, which we believe needs to be distinguished. The information available is sparse, especially since banks involved either did not comment or can conveniently hide behind bank privacy laws blocking them from discussing any transactions or clients in question. What we do know at this point is that in the act of following tax fraud money from Russia, the Hermitage Fund spearheaded by Bill Browder has gained access to a vast number of transactions that also give insights into other money laundering activities in the European banking system. According to these documents, allegations are made that European banks, several of which are under our coverage, have allowed shell companies to open accounts and receive vast sums of money without the banks’ knowledge of who the beneficiaries are. Furthermore, the allegations claim that these practices had to be of criminal intent as the transactions would have raised red flags that had to be ignored purposefully. Unfortunately, we are right now stuck in this “he said--she said nothing” conundrum. Judging by the developments at Danske, we expect banks to first deny knowledge, then cite bank privacy laws before they hide behind ongoing investigation secrecy requirements. We believe the ultimate question is not whether the banks did allow accounts to be opened by shell companies, as this seems as a likely scenario to us, but rather if and when banks reported these accounts as suspicious to regulators and how regulators react to these revelations. As has been touched upon by one of the Austrian online portals, part of the consortium behind the allegations, RBI, for example, has likely been a driving force behind a criminal investigation into a small section of the laundromat scheme after it saw transactions of several accounts getting out of hand. RBI has not been reprimanded or fined for the involvement at the time, suggesting that supervisors were content with the actions by RBI at the time of eventually escalating the issue to supervisors. The interconnection between supervisory authorities and banks as well blurry the line between when a bank needs to report suspicious transactions to be off the hook and when it becomes part of the illegal activity complicates matters immensely. The problem of lax anti-money laundering controls brought into the spotlight are more complicated than would appear at first glance. The ultimate responsibility of adequate controls forms a business risk carried by the bank and ultimately the investor. We do not think this is purely an idiosyncratic issue, however. As we alluded to already, the term money laundering can give the wrong impression to what is likely occurring within the bank. The range of possible involvement in money laundering schemes for a bank can go from negligence over ignorance to facilitation of illegal activities. We believe that most banks under our coverage likely fall somewhere between negligence and ignorance, which could result in reprimands and fines, and rightfully so. The scale of the allegations and the network uncovered does put into question how the regulatory landscape has facilitated this as well, however. The banks’ practice of turning a blind eye or asking questions after the fact have been tolerated by regulators until now. The lack of a unified supervisory authority is just one example how a grey zone of accountability is created in which fraudulent monies can slip through. Regulators and supervisors will have to rethink how to tackle this issue as we do not anticipate banks to turn clients away themselves. Higher regulatory costs related to know-your-client initiatives are a likely scenario, although improvements have been made already. Danske has admitted that between 2007 and 2015 funds of about EUR 200 billion of potentially suspicious nature flowed through its Estonian branch. It appears now that the branch was used as the gateway for ill-gotten gains to spread through the European banking network, largely originating from former CIS countries. Danske likely failed to properly check who the beneficiaries are of the shell companies used to transfer vast sums through the Estonian branch. 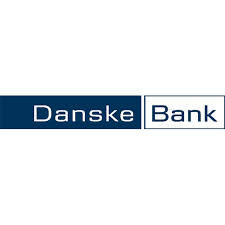 The share price declined about 50% last year as the news kept unfolding, and Danske saw itself in the position to give concession to its mishandling of the situation multiple times. As we highlight in our company report, we believe that the low share price is largely driven by the lack of information available, the sheer size of the potentially suspicious funds, and the looming possibility of having its U.S. dollar clearing license revoked. For our view on why the market is putting undue weight on these issues please refer to our company report. Danske Banks Wealth Management-enhed, hvor selskabet har en lille markedsandel, byder på et stærkt vækstpotentiale. Bankens ekspansion i Sverige, Norge og Finland passer med Danskes nordisk funderede forretning og udnytter selskabets styrker. Danske har et solidt kapitalgrundlag og kan dække bøder på op til 10 gange den bruttoindtjening, der er rapporteret i den hvidvask-involverede non-resident portefølje, alene med selskabets overskydende kapital. Det amerikanske justitsministeriums hvidvask-efterforskning kan resultere i, at Danske Bank mister sin tilladelse til at handle med amerikanske dollar. Skaden på Danske Banks omdømme som resultat af den estiske hvidvaskskandale vil betyde færre kunder og reducere selskabets adgang til den vigtige indlånsfinansiering gennem almindelige bankindskud fra private. Banken er afhængig af engrosfinansiering – såsom lån fra andre banker eller gennem gældsinstrumenter. Denne type kapital er dyrere end almindelige bankindskud fra private, der kun udgør 30 procent af midlerne i Danske Bank. Alle estimater, kurser og vurderinger er pr. 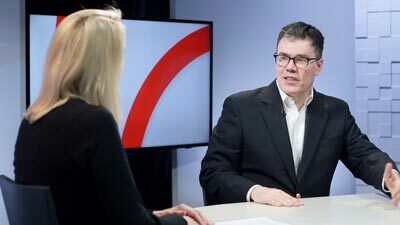 6. marts 2019 af Niklas Kammer, Morningstar Equity Analyst. Niklas Kammer har ingen positioner i de nævnte værdipapirer.